Bigg Boss 10 elimination : Karan Mehra has been evicted from the TV reality show, Bigg Boss 10. 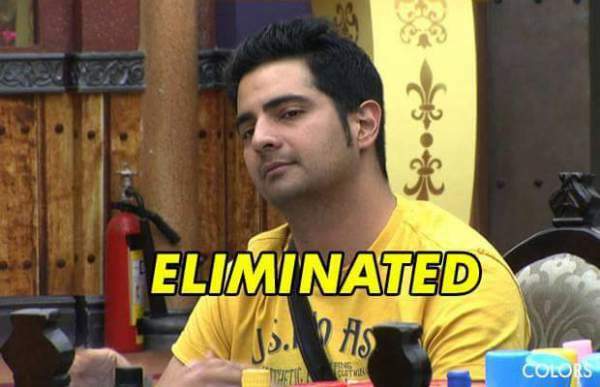 The elimination of Karan Mehra goes against the producers as fans took next level. Fans of star had accused the producers for removing Karan because of TRP issues. They accuse this eviction is against the laws of fair competition. Karan Mehra was the most honest and calm person in the TV reality show. Bigg Boss 10 is generally not considered house of calm people. Bigg Boss is all about controversies and the best you can do to create mess. The game is of TRP ratings and you are expected to behave like monkeys in one house for more than 90 days with some unknown people. Karan episode comes to end because he always choose peace over creating fun for fans. First he gave statement for his best and close friend in the house, Karan Said: Of course, I had a different connect with Rohan as I know him since 2 years now. So, he was very close to me and Gaurav became very good friend…even Bani, Rahul, so it was our small team. Second he was questioned about his interaction with Rohan during his captaincy part. Here he was quite type of candidate bigg boss needs but didn’t sparked up much controversial statements. Whatever he did with beds was in fun but slowly people started opposing him and started questioning his captaincy only. Next day when he had to choose two people for jail punishment, there Manu said he ‘bigg boss kya kisika baap muje jail mein nai daal sakta”. So somewhere they were making themselves look above Bigg Boss and so it gets difficult. It was disappointing that nobody was listening to Rohan as a captain, so he was little agitated also, which is kind of natural and in the game, it gets to you but they were fighting with him on unnecessary points. As an individual, he was also taking his stand. Hold your horses, its not the case that Karan Mehra had only talked wrong about the TV reality show. He appreciated the efforts of Bigg Boss 10 idea of bringing the celeb and commoners close to each other. In this edition of Bigg Boss 10, both were at same platform. Karan Mehra Said in his statement praising efforts in Bigg Boss 10: Bigg Boss broke the bridge between commoners and celebrities after two-three weeks and that all are on the same platforms with no Maalik and sevaks. Talking about celebrities, no celebrity was behaving like a celebrity inside the house and I think they were quite clear what they were doing. They were following the rule. The other question he was asked to comment on Salman Khan. Almost every contestant in the Bigg Boss 10 usually don’t take the hard path for his bollywood career by uttering a single word against Bhai. He praised the efforts of Salman Khan as host of Bigg Boss 10 and appreciated his presence of mind while talking to contestants. Salman Khan as a host of Bigg Boss 10: He was absolutely terrific as a host and with one flow he took over the whole show and his presence of mind, fun, laugh, it takes a lot. Continuously he talks and shoots back to back 2 episodes, it takes lots of efforts. Hats off to him. When asked about his expected contestants who can win the series of Bigg Boss 10. Karan Mehra Said he had faith in Rohan and Gaurav as they got the guts to win Bigg Boss 10. Gaurav is considerably a preferable player for him since he knows the game and well played it. So all this was the end of Karan Mehra’s Bigg Boss 10 career, definitely we are going to miss him in the show. The next Bigg Boss 10 nominations are going to more tough as the competition will also be fierce.